Who remembers the horn-rimmed spinster with the arctic scowl and tummy-curdling hush at public libraries of old? Removing a book from the reference section got you two to five. The libraries of my youth were colonnaded stone and brick edifices with many corners for a kid to hide. Libraries had significance in a time when books cost more than some folks made in a week, and everything was free with the coveted library card. The universal alibi for teens when asked where they’ve been: “I was at the library”. More than just a place, it was an adventure, a journey, an opportunity to peek over a weighty tome to see if Margie at the other table, noticed me. Much has changed in our media-at-the-fingertips world. Now you can buy a book for a buck with a Smartphone. No more trips to the reference section for research, all you need is access to the internet. Adventure comes with cable TV and X-Box. You can follow Margie on Facebook. Who has time to read anyway? Got a homework project due, a Skype date with Lori (Margie has a boyfriend), and Game of Thrones is on in an hour. Some people think libraries have reached the exit ramp for extinction. No, that is not the Grim Reaper thumbing through the magazine section. It’s the angel of change, summoned by folks everywhere who believe libraries are more than musty rooms of bookshelves and dowdy old Ms. Hushbequiet. It’s less about physical books, and more about reading, learning, and interacting with community. I wrote an article few months back about all the Things I’m Still Waiting For, like hover cars and my first alien encounter. I should have included a library of the future in one’s own home. The ceiling screen is a bit much, and those chairs seem a little uncomfortable, but the concept is not far from reality when you think of it. Today’s modern public libraries are transforming to centralized locations for human interaction and collaboration. Gatherings to share knowledge now claim the space that used to hold bookshelves. Empty tables are becoming computer bays. Books are still here, but fewer of the paper kind in favor of eBooks without having to get on a waiting list for popular titles. The ponderous library of hardcover tomes, referred to in Latin as bibliotheca, becomes the new BiblioTech. Imagine going to your “public” library, sign in with your card, and borrow an Ebook, without leaving your living room chair. No more expensive airport kiosks with overpriced paperbacks when flights get cancelled (sorry guys, you knew that was coming eventually). Forward thinkers envision public libraries as the new community center, a place where teachers, students and patrons come to interact with technology and learning. The library of the future will be an information commons area, staffed with trained librarians, IT professionals, and of course volunteers who just love being a part of it all. Those who fear the loss of quiet will still find corners for reflection in the designated section beneath Ms. Hushbequiet’s portrait. Some communities and educational institutions have already begun the journey, but stretched local budgets have to be creative to join the future. In my little hometown of Pennsylvania, our local library has for years, been tied to the community center. Half of the building has gathering rooms, gymnasium, and youth centers. Do yoga, learn to play an instrument, play basketball, and bring the toddler to organized playtime. A short walk across the hall is the local library, with traditional books and magazines, audio books and movies for loan, old-fashioned story time, and a few computers for those who can’t afford internet access. Technology is key to the process and expected to bring library access to remote corners of the earth, but isn’t required in all cases. I’d like to salute an imaginative fellow in Wisconsin, who started a concept called “Little Free Library” (I blogged about this a couple years back at blameitonthemuse.com). In short, neighbors can share their favorite literature and stories by erecting a “box” with books, where anyone may stop by and pick up a book, or leave a book to share. Little Free Library has turned small neighborhoods into communities, technology not required. The library was a place I wanted to be as a kid. The idea between all that learning is to keep it fun. So let us preserve the age-old alibi, I’ll be at the library with Margie. Don’t worry, you can track their cell phone as verification. In honor of National Library Week, let us say thank you to Ms. Hushbequiet for decades of faithful service. She retired to Florida and has become quite the line dancer, I hear. Please support your local library, and let me know what your favorite library story in comments below. PS: Hopefully you’ve noticed my blog header graphic, Searching for Light in the Darkness, from artist Lori Nix. It’s called The Library … of course. Dan – that is an awesome blog; very insightful and so ‘right on’ and yes, I love the graphic…I’d love to pass it forward, but how? Hi Jill, thanks. If you right-click the picture, select “save picture as” option, type a file name for it, and file it to desktop or any folder of your choice. To get a high res rendition of Lori Nix’s work, go to her site – http://www.lorinix.net, and you will find all of her amazing art. Great piece, Dan, you said it all! My favorite library story is that my library as a suburban kid outside Tampa, Florida in the early 60s was a bookmobile! It came once a week because the neighborhood was so new there was no branch of the city library yet! We loved those walks up to the bookmobile to choose a couple of books each week! I too, remember the book mobiles. You can still find them in remote havens. Thanks, Lucy, you’re the librarian I thought of as I wrote this. Hey Dan–Loved this post! I love libraries, although I don’t go as much as I used to, for the reasons you mentioned. A library story that sticks out is from elementary school in probably 3rd grade or so. Our class would go to the library once a week for story time. 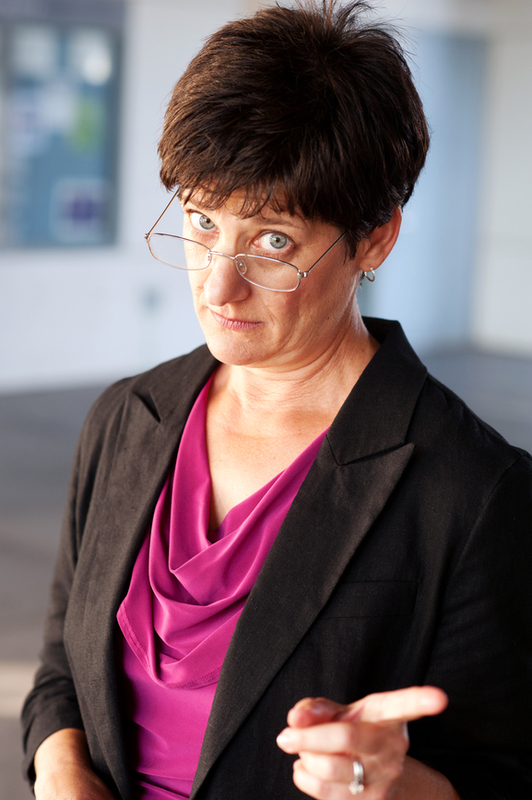 Mrs. Anderson was the librarian–she was pretty old. At least 40 or so (that’s old to a kid, you know). Anyway, Mrs. Anderson was reading to us one day and it was hot in the library, so she took off her jacket. She was wearing a sleeveless blouse and — gasp — her bra strap was showing. We all couldn’t help giggling and staring because that was so shocking. She never did figure out what we were laughing at. I bet a bra strap wouldn’t even get a second look from a kid these days. LOL. That’s funny, Rebecca. It was a very different time. I think today’s fashion statement has bra straps visible on purpose. Thanks for sharing the story. Yes, our beautiful library is very much a community center, busy, filled with technology, people, lectures, childrens programs and very important to our town!! Thx for your article!! I have a lot of good memories at the NC library. I almost posted the old Menasha library, but it’s moved to another location. Thanks, Lois. Now that’s a good story. Have to admit I didn’t grace a library much when the kids were little. We were a bit busy reading to them. On a particularly long car trip (we didn’t have DVD players in cars), my rediscovery of the library uncovered an extensive list of audiobooks on CD. Thanks, James. Ah yes. I remember discovering the free audiobooks and DVDs section as well. They also let you borrow free video games. For a long time, I tried to keep this boon secret from all my friends.